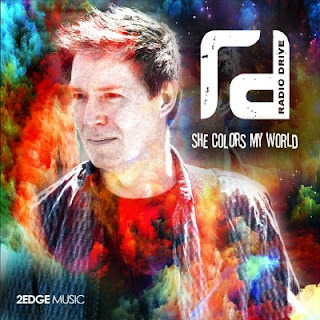 NEW MUSIC ALBUM REVIEW - RADIO DRIVE - "SHE COLORS MY WORLD"
ALBUM SUMMARY - "She Colors My World" is Kevin Gullickson's 5th album as Radio Drive. 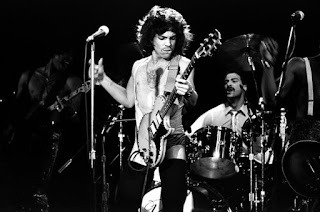 Playing all the instrumental parts and all vocals and harmonies he enlisted recording engineer Robert L. Smith to finish the mastering. Smith has worked with the likes of Bowie, Aerosmith and U2 and this album contains a plethora of styles. From 60s beat bands, 70s Psychedelic and Progressive Rock, Classic Rock and 80s anthems and soft ballads this has everything for the listener. It's a cool set and a little tip, listen in headphones for the full effect of the pure "live" sound that Kevin has created. Creative Rock in all its forms make for a formidable album! 01 HORIZON - The first track of the album gives you a bright start to your listening pleasure. A strong 80s vibe is captured here, in the style of a U2/Simple Minds hybrid while encompassing a great Electronic Rock sound. It's a mid tempo track but its one of those songs that would be awesome in a huge arena, anthemic Rock at its best. 02 A NEW START - Almost Psychedelic with a little Progressive Rock, this track gives us guitars in a medieval stye. The ambience of the echoes and effects give a real 70s feel. As with most of Kevin's songs this has a surprising diversion, at around 2 minutes 40 there is a small instrumental interlude has a distinctive Electronic Synth Pop element. 03 SWEET THING - A light, lilting song in a slow almost Folk Blues style is a very nice, relaxing listen. At 1 minute 40 comes another surprise as there's a move into early 70s Classic Rock before easing back into the song's usual style. Nice harmonies make this an enjoyable cool Summer track. 04 FOREVER I DO - A sweet Rock ballad with heartfelt lyrics and emotive guitar parts and vocals. A nice sing along chorus gives the song another "hit" contender nomination and it also reminds me of the band Yes. 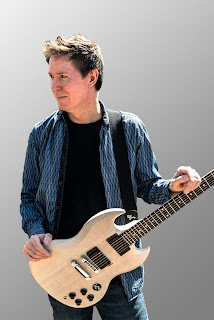 05 EVERY ROAD - More anthemic epic Rock with the U2/Simple Minds style as the 80s Pop Rock infuence can be heard as with the opening track "Horizon". Oh and yes there is another Kevin Gullickson surprise in this track too. At 2 minutes comes a segment where you think its going to end in a crescendo but then it stops as quickly as it came in and returns back to the song's original composition to finish. Such a tease are Radio Drive! 06 HEY BULLDOG - This is a cover of The Beatles' track and as I was unfamiliar with it I looked it up. This is a great cover version, if not better than the original purely for the better production. It certainly takes you back to the 60s beat groups era. The guitar solos within the song sound alittle heavier to me, which is probably why I like it. More Rock than the original. 07 TIME TO RISE - Great Electronic Rock song with elements of Psychedelic, Classic and Progressive Rock. My favourite on the album and could be a massive hit as well as a little of a Rock anthem! The echoes on this track give it a great "live" feel and pure sound, the guitars sound amazing. A 60s style hippie interlude is also included at around 2 minutes 20 just in case you miss the Radio Drive surprises! 08 LIFE AS IT SHOULD BE - A piano led slow Pop Rock ballad with a little guitar solo at 3 minutes 11 thrown in for good measure. Has a 60s and 70s feel and a very stylish, cool track. 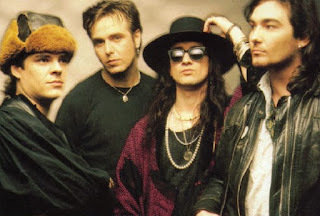 It also reminds me of the 80s bands The Adventures and The Icicle Works, with great emotive vocals and an intellectual Rock feel. Great song! 09 WAITING - Ambient sounds merge into a great Pop Rock track, with all the elements of the previous tracks. Many genres included in just this one song and it kind of sums up the whole album. With all the effects, echoes and vocal harmonies this is great to end the album. Basically, what you just heard is a bit of everything, a creative tour de force.